Naval Dome has demonstrated the maritime industry’s nightmare security scenario with a series of cyber penetration tests on systems in common use aboard tankers, containerships, super yachts and cruiseships. Test results revealed with startling simplicity the ease with which hackers can access and over-ride ship critical systems. With the permission and under the supervision of system manufacturers and owners, Naval Dome’s cyber engineering team hacked into live, in-operation systems used to control a ships’ navigation, radar, engines, pumps and machinery. While the test ships and their systems were not in any danger, Naval Dome was able to shift the vessel’s reported position and mislead the radar display. Another attack resulted in machinery being disabled, signals to fuel and ballast pumps being over-ridden and steering gear controls manipulated. 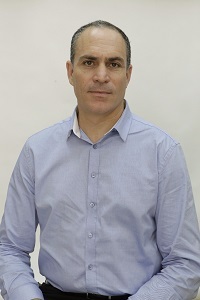 Commenting on the first wave of penetration tests, on the ship’s Electronic Chart Display and Information System (ECDIS), Asaf Shefi, Naval Dome’s CTO, the former Head of the Israeli Naval C4I and Cyber Defense Unit, said: “We succeed in penetrating the system simply by sending an email to the Captain’s computer. According to Shefi, the Naval Dome hack was able to alter draught/water depth details in line with the spurious position data displayed on screen. Itai Sela, CEO of Israel-headquartered Naval Dome, furthered that the virus infecting ship systems can also be unwittingly transferred by the system manufacturer.